New AMD Graphics Card for Your Gaming PC? Home/Games and Gaming/New AMD Graphics Card for Your Gaming PC? 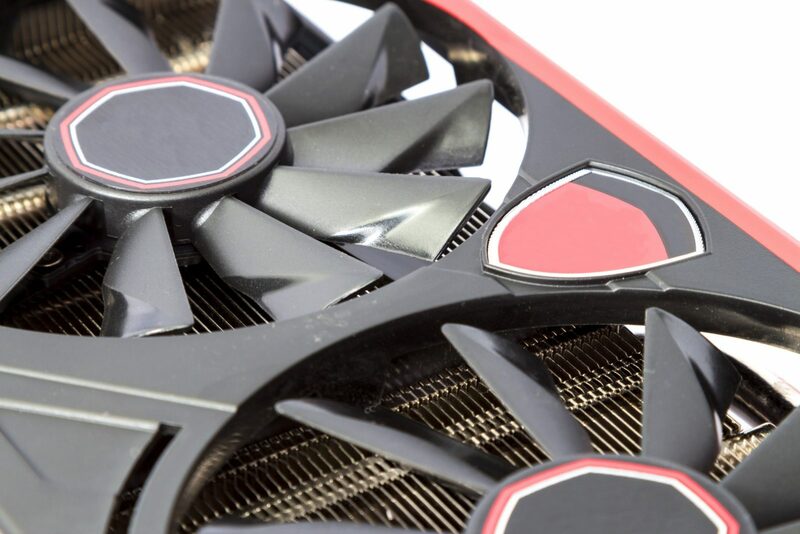 Are you looking for a New AMD Graphics Card for Your Gaming PC? After a few years of languishing behind the competition with overpriced and under-engineered hardware, AMD has made a huge comeback in the last two years. An all new line of CPUs, and the new RX 500 and RX Vega series graphics cards are now creating some much needed competition between Intel, AMD, and NVidia. If you’re looking for an affordable graphics card for your next gaming rig build, or even if you are looking for a graphics upgrade for your current system, then we could help you to find the best card for your budget, from the XFX range of custom GPUs. When a graphics card is first released, there’s a period of a few weeks where only the reference designs are available. These are the standard designs introduced by AMD (or NVidia in the case of GeForce cards), and while highly capable in both terms of power and cooling, these reference designs do not explore the full potential of a graphics card. If you want a card that can achieve the highest possible clock speeds, with an efficient cooling system, then you’ll need to buy a custom graphics card from a board partner. The problem with choosing is that not every board partner is equal. Palit, MSI, ASUS, Power Color, and XFX, are just some of the examples of companies who make custom GPUs, and at MH Computers, we’d have to say that XFX is one of our favourites. The key here is the difference in the boost clock speed. An effective boost of almost 100MHz would result in noticeable improvements with better in-game frame rates. With the reference boards using blower cooling systems, a graphics card may even struggle to reach the maximum boost clock, thanks to thermal throttling. Partner boards use custom cooling solutions, with larger fans, more efficient heatsinks, and sometimes even with integrated water cooling or vapour chamber cooling. In every case, whether it’s the RX580, or other graphics cards from AMD and NVidia, a partner board is always the best idea. It’s critical to consider the different brands for your gaming rig, while comparing the cooling system as well as the key specifications. If you want to demystify the process and get expert advice for an upgrade or new build, then it’s time to talk to MH Computers. We can make the right graphics card recommendation based on your needs and your current system, taking things like CPU bottleneck, and power requirements into account. You’ll get the best card for your budget, as well as the most appropriate solution that maximizes the power of your system.